Home » Springtime and Higher IVF Success: Is There a Link? Springtime and Higher IVF Success: Is There a Link? In vitro fertilization, medically referred to as IVF, may be more effective when performed during specific times of the year. This short piece will examine IVF in greater detail, take a look at the impact of specific factors on the procedure’s efficacy and review the findings of a research study that concluded the spring may be the most optimal period to undergo IVF. In vitro fertilization is a scientific process in which the conception of a child is performed outside a woman’s body. Hormonal drugs are used in IVF to encourage the ovaries to produce extra eggs, increasing the chances that some will be successfully fertilised and implanted in the womb. The procedure, which is executed inside a laboratory, involves scientists’ use of donated sperm or sperm of the partner to fertilize eggs that had been previously removed from a woman’s ovaries. Once the fertilization process is complete, an embryo may be created. 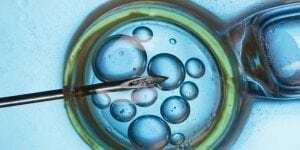 During the next step, ideally two embryos are placed inside a woman’s reproductive tract with the hope that they will continue their growth and that the woman will eventually give birth to a child. Why Is This Process Undertaken? Typically, IVF is utilized by couples struggling with infertility precipitated by various medical conditions. 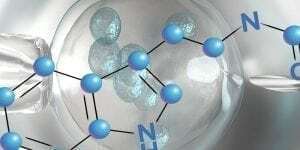 Although the procedure is somewhat expensive and can, at times, be complex, the success rate per cycle ist around 25 to 30 percent. 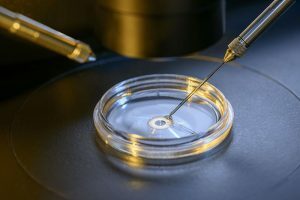 Since the process has become a fairly regular infertility-treatment option dating back to the late 1970s and early 1980s, the process has been responsible for producing in excess of 200,000 newborns per year. Certain infertility causes are more challenging to overcome than others. In addition, the procedure stands a better chance of being successful if, instead of both potential parents, only one is stricken with some sort of infertility issue. Typically, both the donor sperm and egg need to be strong, healthy and free of any defects for IVF treatment to be effective. The woman carrying the engineered embryo has a better chance of carrying the pregnancy to full-term if she is in good physical, mental and emotional health. The younger a woman is, the greater are her chances of giving birth following in vitro fertilization. When a woman reaches age 40, IVF’s chances for success drop significantly. Women who refrain from bad habits such as drinking and smoking, consume a balanced diet and receive adequate amounts of sleep also have better odds of delivering a healthy baby. Does the Time of Year Impact Success Rates? Research suggests that season can indeed play a role in the procedure’s efficacy. Roughly a decade ago, a team of Brazilian scientists set out to examine how seasonal differences impact the efficiency of IVF. These researchers studied nearly 2,000 women undergoing the procedure and assigned the subjects different categories based upon the date they had had eggs removed from their ovaries. The eggs were then inseminated several hours following their removal. The researchers discovered that almost 74 percent of the eggs retrieved during the spring were successfully fertilized. It is also important to note that these scientists measured the subjects’ hormonal levels and found those assigned to the springtime classification also possessed elevated levels of estradiol, an important female reproductive hormone.